There has been much speculation over Kylie Jenner's rumoured pregnancy. And the Kardashian's most recent Christmas snap has convinced their legion of fans that they know the reason for Kylie's absence in the pics. Since the beginning of December, Kim has posted pics in the run-up to Christmas - but Kylie has been in none of them. It's said that the 20 year old is expecting a baby with her boyfriend, rapper Travis Scott. 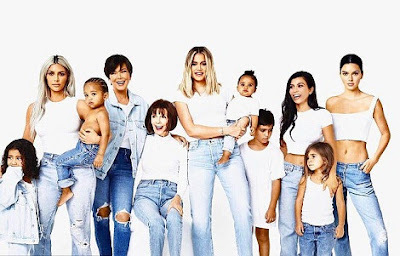 Most recently, she shared a snap of the family, clad in jeans and white tops, as Kris, Kourtney and several of the children look off to the side. And fans reckon day 25's pic will either show Kylie with a bump or her BABY. One commented: "Day 25 im pretty sure will show kylie pregnant or present as kendall only joined intoday. Although im pretty sure kendal wasnt present at this photo shoot. She looks too poker face compares to fam. Deffo photoshopped in." While another remarked: "I think Kylie will show on the 25th. Pregnant." A third remarked: "KYLIE'S DEFFO PREGNANT @nousheennynan."